There’s quite a few horse rescue and welfare organisations around the world, and they all desperately need funds to continue their superb work. 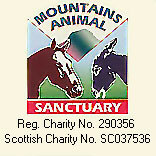 Horse sanctuaries and rescue centres usually allow you to become a member or adopt a horse. Some have merchandise for sale and you can donate money, feed, wormers or second-hand horse gear. Volunteer services are much in demand and if there is a horse resue organisation in your area it can be very rewarding helping out, especially if you love being around horses. Do not allegra tablet take this medicine during pregnancy unless your doctor.. In 1986 close friends and colleagues, Sharon Jackson and Jill Pratt founded Safe Homes, which later was renamed as Colorado Horse Rescue. Canterbury Horse Rescue Reg Charity 1101452 has been fighting equine cruelty across the Kent County for the past twenty years. A non-profit organization which commenced in 2005 to help educate the public and government on issues of horse care within the Tasmanian Animal Welfare Act. The Brooke is the UK’s leading overseas equine welfare charity and our aim is to improve the lives of horses, donkeys and mules working in the poorest parts of the world. This organization has been going since 1991 and rescues and rehabilities neglected donkeys. Scotland’s Largest Equine Sanctuary. Provide a haven for resue horses, ponies and donkeys. Many of the animals have been rescued from cruelty or neglect or or ignorance. Horse Trust is an animal charity, originally established back in 1886 to help the working horses in London. It is the oldest horse charity in the world. The main aim of the Horse Rescue Fund is to alleviate the suffering of any ill-treated or neglected equines, bring them back to health and, if possible, back into work and then place them on loan in approved homes. 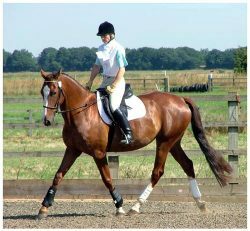 We never sell our rescued horses but we do most firmly believe that they are much more content and happier leading a useful and fulfilled life, with individual care and attention in a private home. Heaven Can Wait Equine Rescue is located in Cameron, Ontario, Canada – approx 1.5 hours NE of Toronto, just 10 minutes North of Lindsay.